It's no secret -- we love a good 'gram. Here, we'll be posting our favorite Instagram from the food world, on a different theme each week. This week, we're setting the table, and adding a few decorative touches. It's November, which means that the beautiful bouquets of flowers that once added color to your table have shriveled up and died. But don't fear for the state of your table decorations -- it's officially decorative gourd season. The crafty folks at sundaysuppers have enough seasonal accents (and no gourds in sight!) that we'd be lucky to sit down for Thanksgiving dinner at a table half as festive. Arrange your place settings, build a centerpiece, and perfect your tablescapes. Then snap a photo. 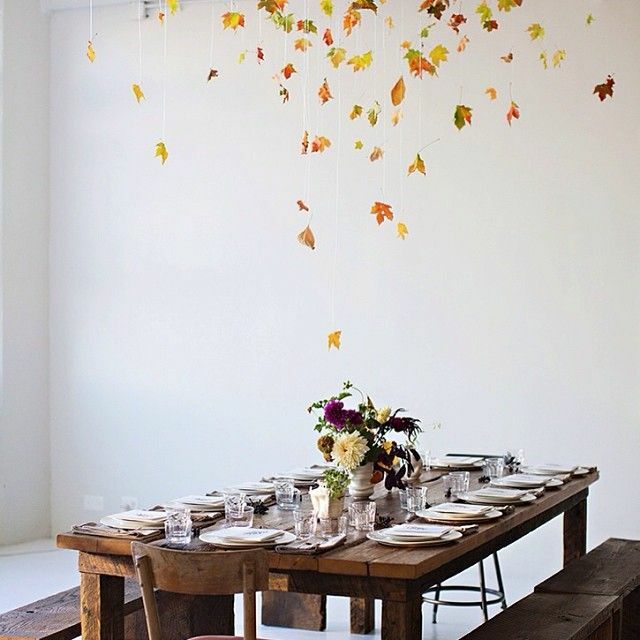 We want to see your Thanksgiving -- or your everyday -- table settings and decorations. We want your 'grams! Follow us, then Instagram your table decorations with #F52grams -- we'll re-gram our favorites.